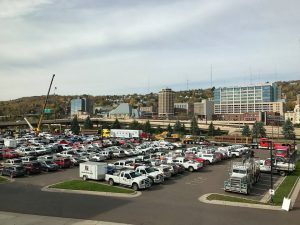 On October 18 2017, energy infrastructure companies and workers rallied to fill the parking lot of the Convention Center in Duluth, MN with the machines and vehicles they use every day in construction and operation of pipelines. 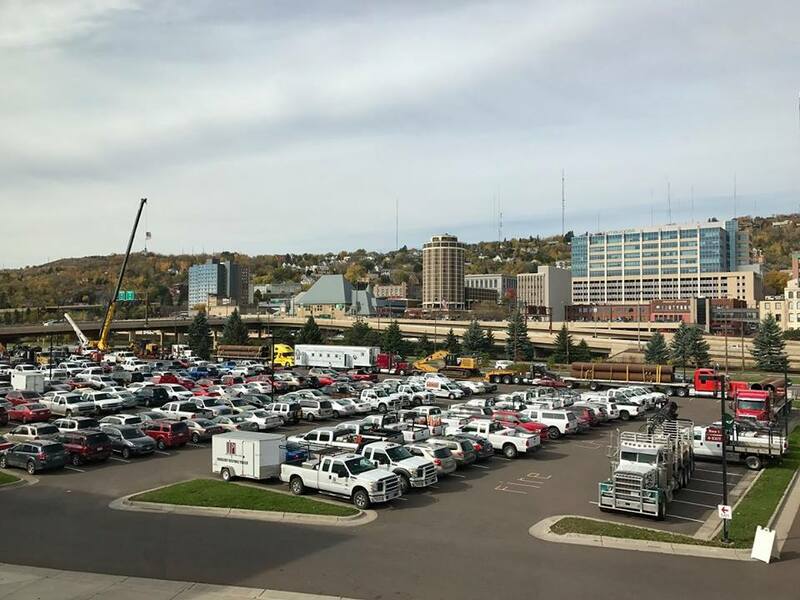 The vehicle rally, which was actively promoted by Energy Builders, was ahead of a public hearing at the Center on permits for construction of Enbridge’s Line 3 Replacement project in Minnesota. Unfortunately, a small number of extremist pipeline opponents disrupted the hearing with abusive and threating behavior, posing physical security concerns and forcing the presiding judge to suspend the hearing well before everyone’s statement could be heard. The contrast between the orderly and civil demeanor of supporters and the extremist and disruptive behavior of opponents was clearly on display.